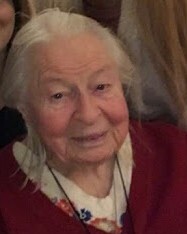 Mary Louise Banash Vineyard, 96, went to be with the Lord on March 27, 2019 surrounded by family members. Mary was the middle of nine children born in Plymouth, Pennsylvania to Polish immigrants Paul “Pavel” Banaś and Mary Szata Banaś. She grew up speaking Polish at home and church; not learning English until attending school. Mary was an exemplary student (often asked to tutor other students), and sang in her church choir. 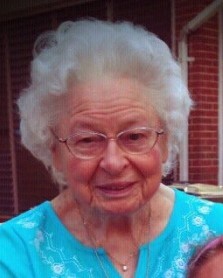 She loved school, especially her second grade teacher, who taught her a song about mothers that she still fondly sang. Years later, she happily encountered her favorite teacher dining at an S&W Cafeteria in Washington, DC. She sustained lasting relationships; including keeping in touch with her two best Plymouth High School friends until their deaths. 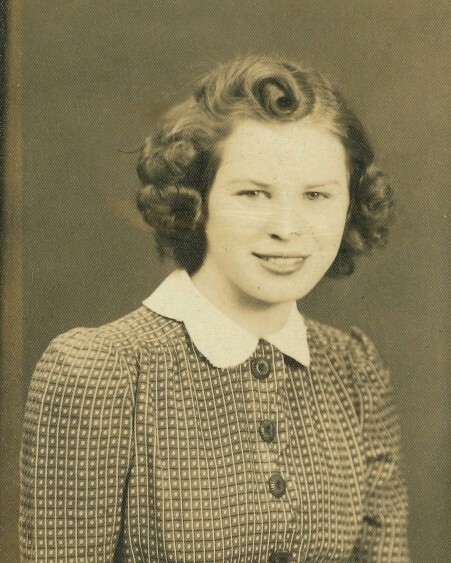 After graduation, she worked for a short time sewing collars onto shirts in a clothing factory and then moved to Washington, DC to assist with the War effort. She was proud of her job as a secretary for the US Army Surgeon General and often shared stories of this time. This job required her to learn exotic sounding medical terms, and she met celebrities, such as Lucille Ball, who was undergoing clearance prior to traveling overseas for GI entertainment shows. After the war, she worked for Veterans Affairs assisting veterans with obtaining benefits. During World War II, Mary lived with roommates in a boarding house in Washington DC. One of her roommates, who was dating a Marine stationed at Quantico, introduced “Mamie” to a handsome Marine named Donald W. Vineyard. Mamie and Donald married right before he shipped out and they corresponded faithfully during his deployment. While much of his letters were blacked out (he could not reveal his location), her letters were filled with poetry and illustrations, as she was talented in prose and art. Mary was also very creative as demonstrated when she made majorette outfits which included batons with giant marshmallows on the ends (big challenge to keep the kids from eating) for a 1950s kindergarten class performance. She had many varied interests and hobbies, including her love of making candy; skating; dancing (won a teenage jitterbug contest); playing weekly double deck pinochle with neighbors; reading to, playing games with, and assembling puzzles with her children; duck pin bowling (many trophies); dining out; traveling; shopping for herself and others; sewing; crocheting; and golfing. She loved to hear and pass along a good joke (the clean and not-so-clean ones), and was enormously proud of her talented family. Mary was compassionate and caring; corresponding faithfully with her siblings and extended family, and helping to nurse a neighbor and one of her sisters as they were dying. She also had a long history of volunteering as a room mother, a cub scout den mother, and most recently, as a volunteer to find rides for people to and from church. Mary was a dedicated Catholic and member of Saint Louis Catholic Church since she moved to Virginia in 1959; attending mass every day she could, listening to and watching religious programs, saying a daily rosary, and joining the St Lucie’s Guild. Mary was predeceased by her husband, Donald W. Vineyard; a baby girl; her grandson, William Benel; and her siblings. She is survived by her children - Carol Christine (Phillip) Julian, William Francis (Kate) Vineyard, John Paul (Eva) Vineyard, Donna Marie (John) Joray; her grandchildren - Natasha (Matt) Stagmer, Christine (Brian) Scates, Ann (Eric) Wilder, Ryan Utz and Jennifer Szabo; seven great grandchildren; and many extended family. She leaves us in rich and treasured memories that we will always carry in our hearts. A visitation will be held on Friday, April 26th at Everly Wheatley Funeral Home, Alexandria, Va. from 5pm to 7pm. 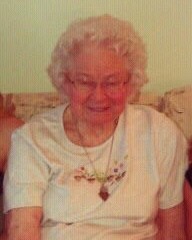 Funeral service will be held on Saturday, April 27th at Saint Louis Catholic Church at 11am. Interment will be held at Arlington National Cemetery at a later date. Please check back for upcoming service details.